Fun Things To Do Phuket Trickeye Museum. Open every day from 10.00 am. – 19.00 pm. Phuket Trickeye 3D Museum This Museum is exactly as the name describes, a trick to the eye. They have put together some very cool things in here and it is a bit of fun for you and the kids, something different to do and check out when you are in Phuket on holidays. This is just another one of those fun and different things to do whilst you are on holiday in Phuket. Trickeye museum is an interactive museum and tests your imagination through your vision. The time has come when you can enter the picture, which you used to only watch and become a part of the picture yourself ! Distorted vision, weird things to look at, lot’s of fun. You will get some great pictures out of this place. Lot’s of fun. We book a lot of other great things in Phuket too and this is on of the top popular best and fun family things to do when looking at booking things in Phuket. Children not over 4 years old is Free. Children over 4-10 years old charge as children rate. Children over 10 years old as adult rate. If you feel like doing something a bit different, or if you like doing arty things, why not check out this place. Also a good choice if it happens to be raining and you are looking for things to do. Upside Down House Phuket attractions. This place is very well done, an cool experience and trick to the eye. You will get some really fun photo’s here, worth a look with the kids. 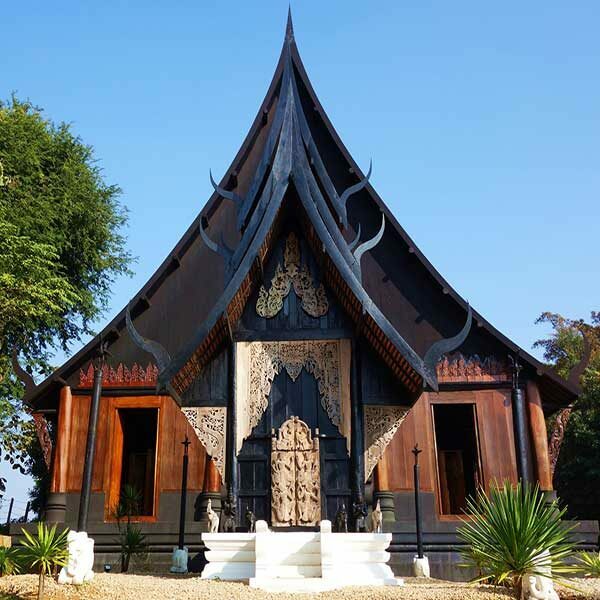 Chiang Mai Chiang Rai Day Trip visit temples, see the mountains, experience rural & local Thailand, amazing popular landmarks. Copyright © 2018 Phuket Dream Company. All Rights Reserved.